Secretly hates everything he has to do for his father. As Dr. D. Vider’s only son, Junior Vider is the sole heir to DIVIDEX, the Vider family’s empire. Junior lacks the wherewithal of his father and has little to no business sense. Junior finds his father’s conglomerate’s workings too complex to understand. In reality, he is extremely incompetent and his ideas are awful; and he is fully aware of this. This is why he allows his father to dictate his every move at the head of the company, because he knows full well that if it were up to him, DIVIDEX would already be bankrupt and dissolved. Junior actually hates business and finance. He finds the whole affair tiresome and dull, but maintains the façade to please his father, whose approval he desperately seeks. A secret he has harboured since he became DIVIDEX’s CEO is that once his father passes away, he intends to hand on the DIVIDEX legacy to someone else, outside the family, as he cannot begin to imagine himself running the conglomerate and making his own decisions. The guilt over this decision means he tries to make it up to his father in every way possible, while he is still around. Some good has come of Junior being at the figurative head of DIVIDEX. Junior is incredibly handsome, fit, and an excellent and engaging speaker. He is truly charismatic and charming. His leadership of DIVIDEX, with his father really making all of the decisions, means that DIVIDEX benefits from the ruthless, effective and short-term decision making of Dr. D. Vider, while benefitting from having an extremely charismatic and likeable figurehead seemingly making the decisions. With Junior as CEO, not only has DIVIDEX continued to grow like it would under Dr. D. Vider’s leadership, its public image has also improved tremendously. Junior’s charm and personality make him a dangerous opponent. Some have noted that he has a seemingly hypnotic quality about him and is able to persuade even the most stubborn of minds. Junior’s charm, personality, and confidence are all a very conscious act. At his core, Junior is highly narcissistic, and obsesses over what others might think of him. He is very vain, and a social animal. There is little more important to him than a gold leafed invitation to a polo match or first night party. To miss an important function irritates him enormously. Junior is always crisply dressed in immaculate Saville Row of London suits and he drives the sportiest European cars. He keeps up with all of the latest fashion trends and is greatly upset when anyone questions his brilliance. Junior cuts a fine figure, and is always in the gym training to preserve his perfect physical form. However, if challenged, he would have no idea how to put his physical capabilities to any practical use. Junior knows at heart that he will never truly please his father, both due to his own shortfalls and his father’s high expectations. This causes him to massively overcompensate in areas where he can be successful, hence his penchant for fashion and cars. 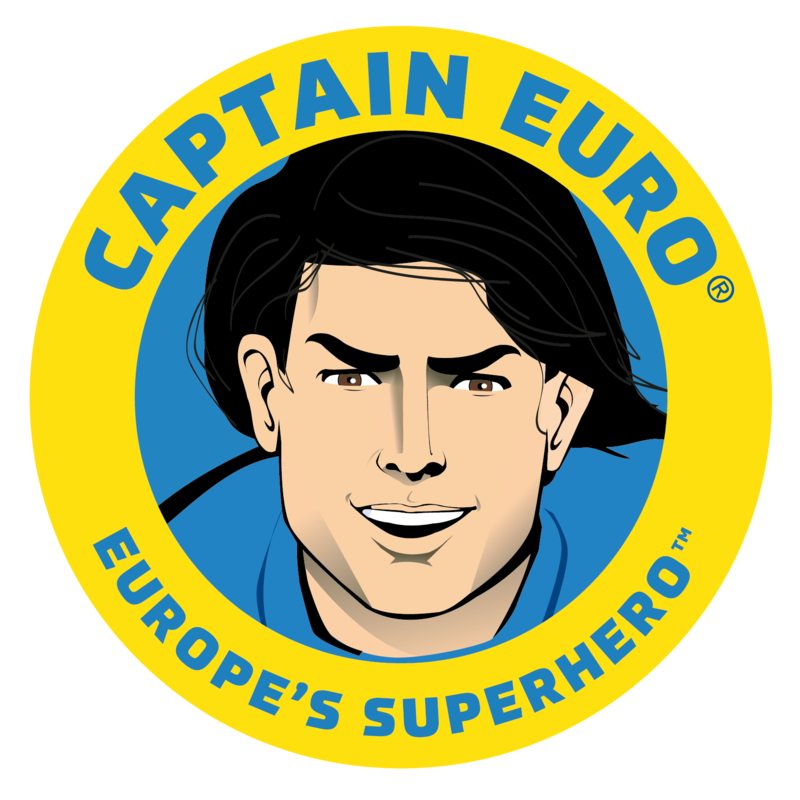 Captain Euro is Europe's superhero and leader of the European Superforce! He battles Dr. Divider's evil crime syndicate VIPERA. Europa is a professor of paleontology and archaeological oceanography. Sustainability activist. Erik is the team’s drones and vehicles tech specialist. Funny and Hyperactive. Military weapons expert. Martial Arts Instructor. Trained with British SAS and Philippine Army Commandos. Marcus is the team’s gadgets inventor. Marcus programmed Pythagoras 1, the Artificial Intelligence assistant of the European Superforce. Pythagoras 1 is a latest generation Artificial Intelligence (AI) construct. He provides logistical support, tactical coordination and key intelligence to the team. 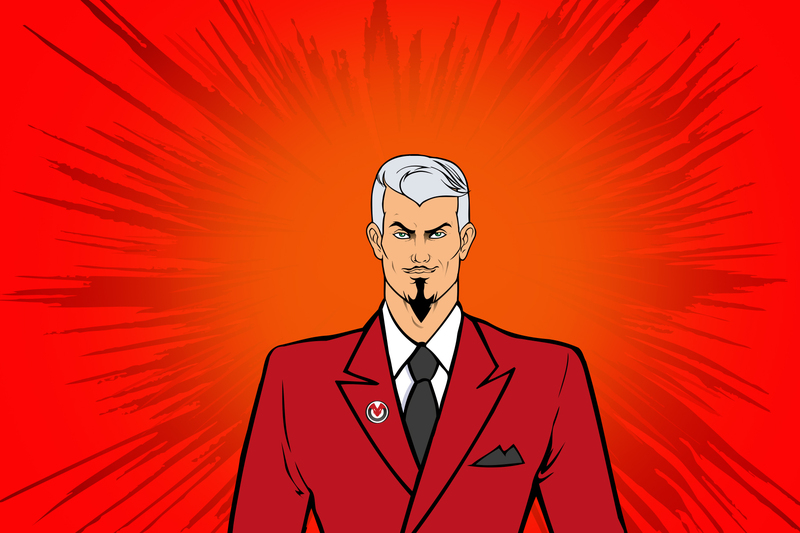 Dr. DIVIDER is the head of crime syndicate Vipera. All he is cares about is making more money, with no concern for the suffering of others. He is Captain Euro's nemesis. As Dr. Divider's only son, Junior Divider is the sole heir to Vipera crime syndicate. Junior lacks the wherewithal of his father and has little to no business sense, but serves as his puppet and henchman. Mala Seville is Vipera's glamorous and mysterious operative. She is in love with Captain Euro but it is an impossible dream. Ninot is a a former circus clown and now a computer hacker. He serves as Vipera's main hacker and trickster. Castor and Pollux (The identical twins) serve as Vipera's muscle. The main protectors of Dr. Divider. Pappagallo is Dr Divider's loyal pet parrot, and often serves as Vipera's team spy. He loves pistachios. Scario is a former secret agent that was double crossed by his own people. He went rogue and is now a ruthless mercenary bent of destruction.